7075 Aluminum – Metalmark Inc.
7075 aluminum is valued primarily because of its high strength. High fatigue resistance and fair machinability are also some of 7075 aluminum’s favorable qualities. Because it is considered tougher than other aluminum alloys, 7075 aluminum is ideal for the construction of parts that will be subject to high or constant stress. It is most commonly used in aircraft manufacturing to make wings and fuselages. Sports equipment such as bicycles, lacrosse sticks and rock climbing gear can also be made with 7075 aluminum. It has 36% the electrical conductivity of copper. In addition to its uses in the aerospace and automotive industry, 7075 aluminum is an important ingredient in many products produced by the furniture, construction, carpentry, electronics and many other industries. Gears, shafts, fuse parts, missile parts, valve parts and keys are all other smaller parts that are manufactured from this type of aluminum alloy. Finished parts are lightweight, semi-smooth and have a dull mill finish. 7075 aluminum was originally developed by Sumitomo Metal, a Japanese steelmaking company, in 1936. Since that time, a range of different 7075 tempers have been devised, each with its own distinct physical properties. All 7075 aluminum is developed by a heat treating process called forging, which takes place at or around 700°F. It is machined in the annealed condition at 900°F for two hours using oil lubricants and then quenched in cold water. Finally, an aging process called precipitation strengthening is done for 24 hours, where it is heated to 250°F and then cooled. Depending on the temper grade, different amounts of heat and processing times are applied during the 7075 forging process. 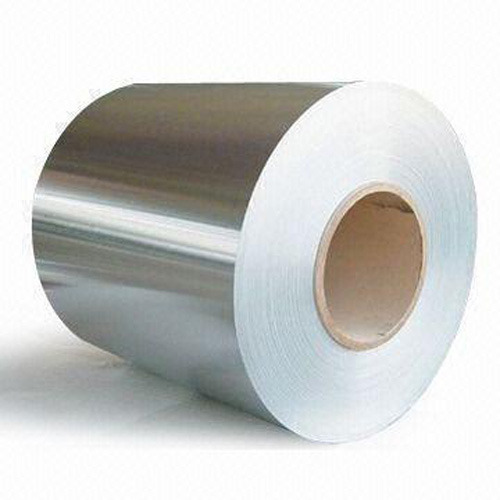 7075 aluminum is usually formed into sheets, structural plates up to four inches thick, rods and bars. 7075 is not the only aluminum alloy made available by aluminum suppliers. 1100 aluminum and 6061 aluminum are just two other examples; they both feature their own distinct physical properties. 7075 Aluminum 7075 Aluminum is an alloy of aluminum and zinc, which makes it a strong, corrosion resistant metal. It is used in the commercial aircraft, aerospace, defense equipment and sports equipment industries. It exhibits good fatigue strength but has low workability and is only welded by the resistance process, if at all.